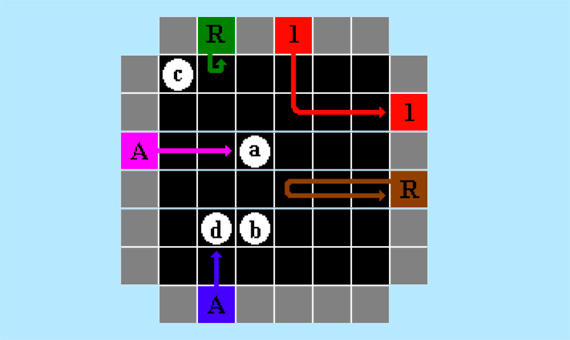 In 1976, the doctor of mathematics and British game designer Eric Solomon invented the Blackbox, the first and possibly only board game of a genuinely scientific nature, inspired by the work of his compatriot Godfrey N. Hounsfield, who in the previous decade had developed the CAT scanner (Computerized Axial Tomography), an achievement for which he would receive the Nobel Prize in Medicine in 1979. In essence, the operation of the CAT is based on the bombardment of the body with X-ray beams from many different angles. The X-rays emerge either more or less attenuated after traversing the organism depending on the tissues they have passed through. This information is measured and, once processed, allows one to obtain a detailed three-dimensional image of the interior of the body. 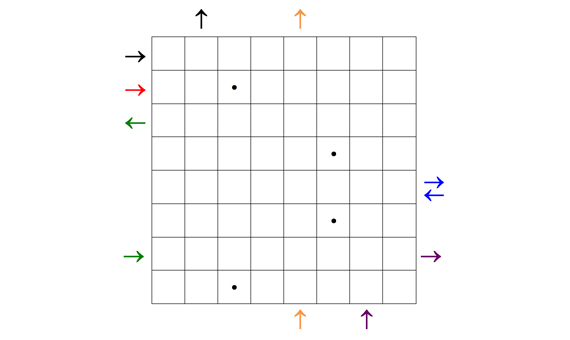 Based on this, Solomon devised a board game in which the objective is to determine the position of a certain number of hidden atoms on a board by bombarding it with X-ray beams and the way –or rather, the place– in which they emerge from the board. The game was marketed in 1976 by the British company Waddingstons Games with remarkable success, to the point that just one year later the multinational firm Parker Brothers acquired the rights to its sale and it became one of the classic board games. 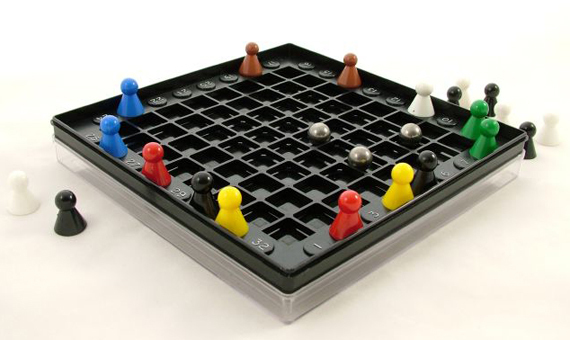 In 2007, the German company Franjos launched a new version, the BlackBox + with a hexagonal board that increases the complexity of the game. The emergence of personal computers in the mid-1980s and their increasingly widespread use as a platform for games prompted Solomon himself, then a computer programmer, to develop a computer version. There are now numerous websites and applications that allow you to play Blackbox online. They can cross the board without being altered in their rectilinear path if they do not pass close to any atom. They can be deflected 90º in their path if they pass near an atom (by a square that shares a vertex with that occupied by the atom). They can be absorbed and not emerge if they encounter an atom directly (also if they reach it after having been diverted previously). 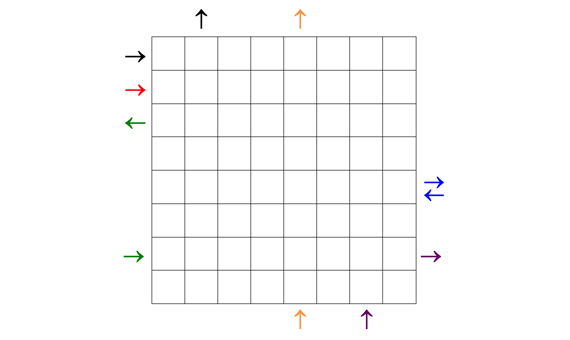 And they can be reflected just before entering when they do so by a square adjacent to one occupied. 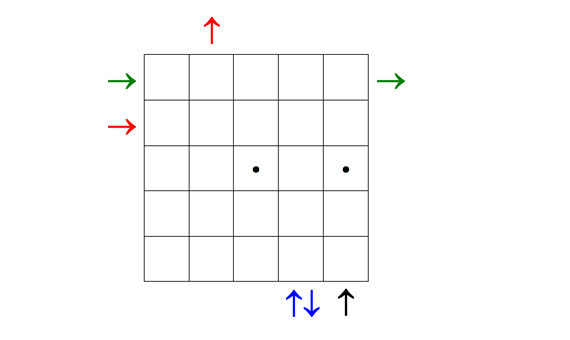 In the attached diagram the absorbed rays are indicated with an A, those reflected with an R. For the rays that pass through the box, the input and output position with the same number is indicated. The red ray is deflected by atom a. The purple ray is absorbed by atom a. The blue ray is absorbed by atom d before being deflected by atom b. Absorption prevails. The brown ray is deflected by atom a (90°) and by atom b (another 90°) and thus it emerges reflected by the same square by which it entered. The green ray is reflected by atom c at the moment of entering. 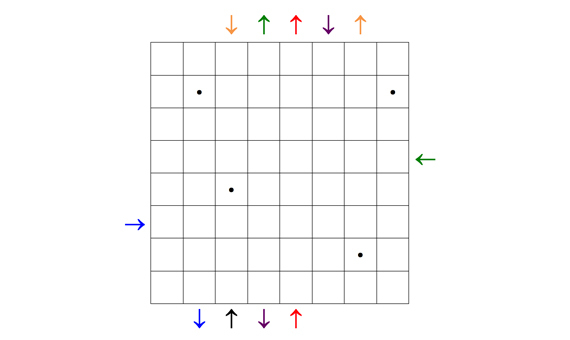 Originally it was devised as a board game for two players, with individual boards, and where the winner is the player that needs the fewest number of shots to fulfill the objective. However, as with other games with the same mechanics, such as Battleships, you can also play with pencil and paper. 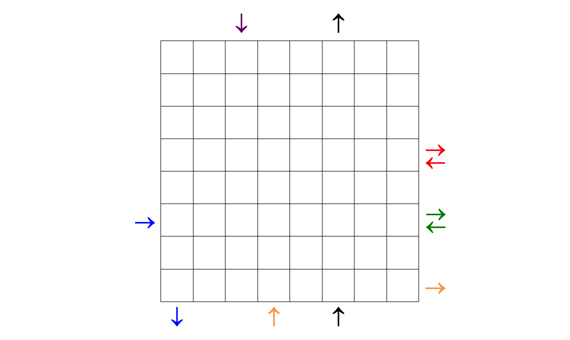 In addition, Blackbox can be turned into a puzzle or logical problem like the ones presented below, and in which, in view of the input and output position of a series of X-ray beams, it is necessary to determine the position of the hidden atoms in the grid. Are you ready? 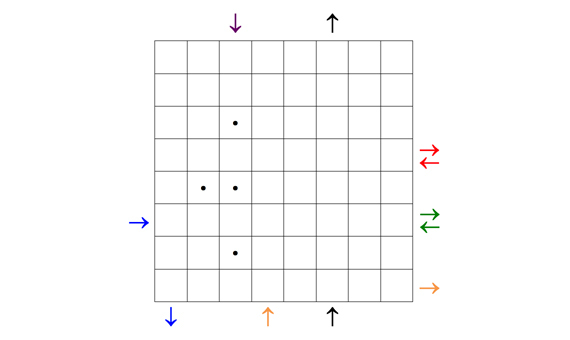 Now try to solve these three empty boards: find the 4 hidden atoms.